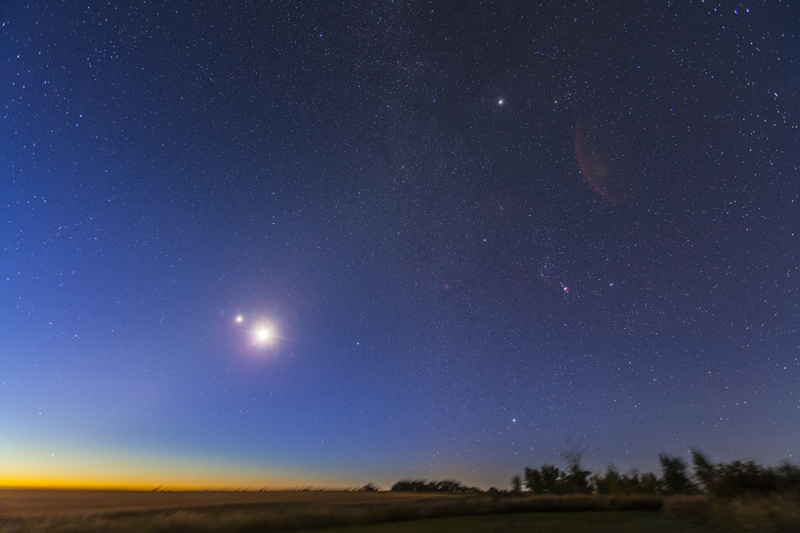 Here was the scene on September 12, with Venus and the Moon in conjunction in the dawn sky. Orion stands above the trees, and at top is Jupiter amid the stars of Taurus. The star Sirius is just rising below Orion. And both the Moon, here overexposed of necessity, and Venus shine together below the clump of stars called the Beehive star cluster in Cancer. 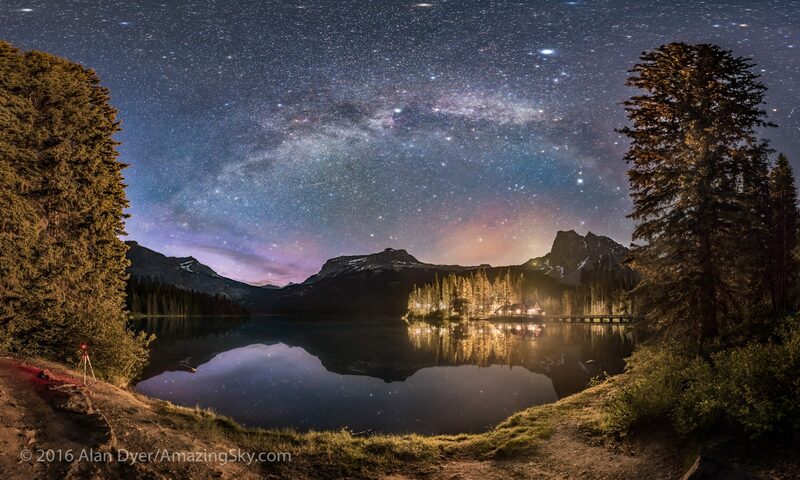 This was quite a celestial panorama in the morning twilight. This is a stack of two 2-minute exposures taken just as dawn’s light was breaking, so I get the Milky Way and even a touch of Zodiacal Light in the scene, as well as the colours of twilight. Pity I can’t avoid the lens flares!